The New-Trad projects are modern musical vehicles for the roots of American music. Combining instruments and elements of traditional New Orleans brass bands with those of modern jazz groups, these ensembles explore the early sources of our nation's musical heritage (church music, band music, and folk musics such as blues, etc.) and combine these influences in ways that speak to and excite modern audiences. Formed in 1994, Jeff Newell's New-Trad Octet has performed in clubs, theaters, festivals, and churches, thrilling audiences from the Atlantic to the Rockies. 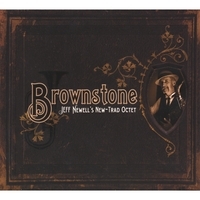 Jeff Newell has always had a keen interest in how cultures and history combine to create musical traditions. While engaging in his musical career over the past 32 years (being fortunate to work with many well-known artists of various musical idioms - from The Temptations' soul to Charles Earland's jazz with Leroy Van Dyke's country and a little Broadway in between), Newell has continued to study the foundations of American music and incorporate these elements into his unique ensembles and arrangements.